I motored straight to the Mount Stewart estate, County Down, on an afternoon during the autumn. It was a splendid autumnal day. The sun shone for most of the day. The roof was down on the two-seater. I was eager to revisit the estate's walled garden, dairy and former rose garden. The last time I paid a visit to this part of the demesne was about thirty summers ago. 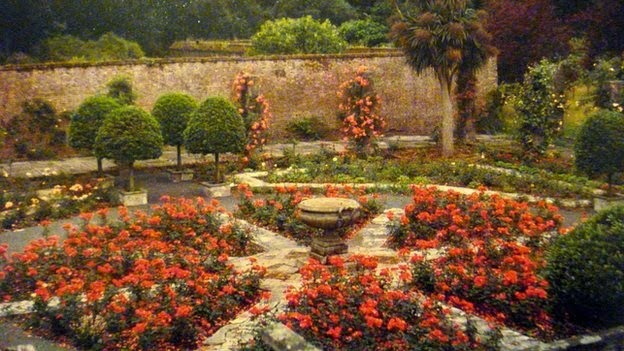 The Rose Garden was originally a cut-flower garden within the 18th century walled garden. Edith, Marchioness of Londonderry DBE, created the Rose Garden in 1925. It contained Lady Londonderry's favourite, scented roses. The Rose Garden was laid out as an Elizabethan garden, with narrow beds and flagged paths. A large urn stood in the middle of the Garden. The Dairy was built for Edith Londonderry in order to make butter, cheese, yoghurt, etc. The roof of the old ice-well on Rhododendron Hill was re-used for the Dairy. A statue of Hermes stood within a fountain in the middle of the Dairy (above), its purpose being to cool or humidify the air. The inner face of the Dairy is flat; whilst the outer is curved. The decorative tiles are of a raised texture and may be Spanish in origin. THENCE I strode back to the formal gardens surrounding the mansion house. 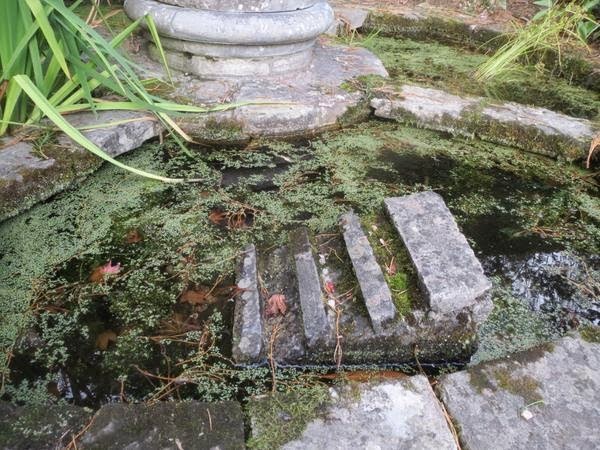 Charming little hedgehog steps (I originally figured incorrectly that they were for frogs) are in place at several ornamental ponds. First published in October, 2014. This very ancient family claims royal descent, and deduces its pedigree from the celebrated Irish monarch, Brian Boru, who ascended the throne in 1002, and fell at the memorable battle of Clontarf, in 1014. MURROUGH O'BRIEN, who, repairing to England by the advice of the Lord Deputy of Ireland, in 1543, surrendered his royalty to HENRY VIII, and was, in recompense, created Earl of Thomond for life, and BARON INCHIQUIN to his own heirs male. 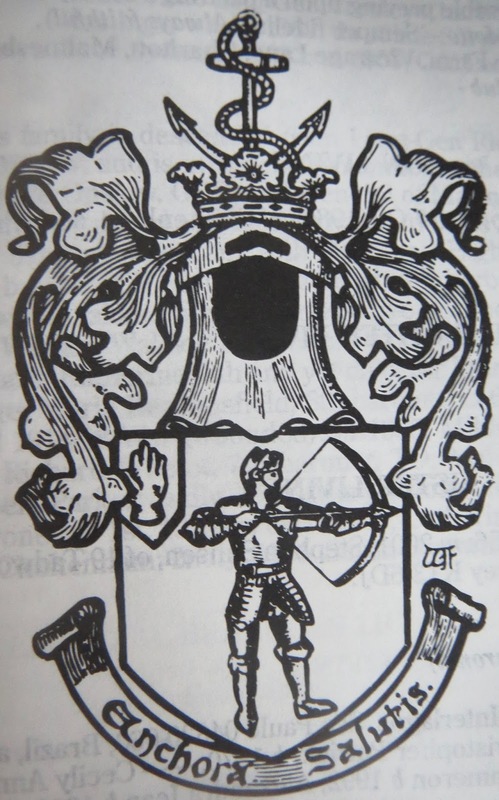 DERMOT, 2nd Baron, who espoused Margaret, daughter of Donough O'Brien, 2nd Earl of Thomond. MURROUGH, 4th Baron (1562-97), who wedded Margaret, daughter of Sir Thomas Cusack, LORD CHANCELLOR OF IRELAND. His lordship fell from his horse and drowned, in 1597, when fording the River Erne, near Sligo, during the Nine Years War. MURROUGH (1618-74), 6th Baron, who was created, in 1654, EARL OF INCHIQUN. MURROUGH (1726-1808), 10th Baron, was created MARQUESS OF THOMOND, in 1808. The heir presumptive is the present holder's second cousin Conor John Anthony O'Brien (born 1952). 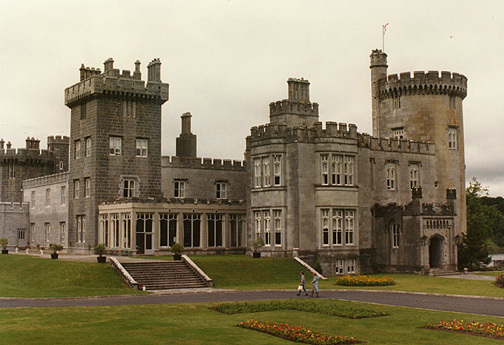 DROMOLAND CASTLE, Newmarket-on-Fergus, County Clare, is considered one of the finest examples of a baronial style castle in Ireland. According to history, the original castle on the site is said to have dated back to the 11th century, and was more rustic in nature than the existing castle of today, similar in style to Bunratty castle. Like other castles of the times, it served as a defensive stronghold. 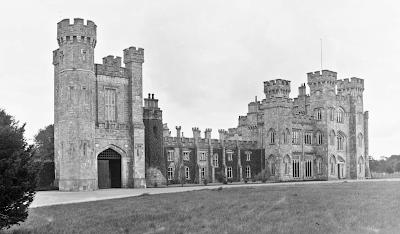 From the time of Morrough O’Brien (the original owner of Dromoland) until the 16th Baron Inchiquin - who still owned the castle in the 1960s - the Inchiquins lived at Dromoland for more than 500 years. In 1736, a second castle was built in the design of the Queen Anne period with a wing enclosing a central courtyard. This wing of the castle remains today and is almost a century older than the other sections of the castle. 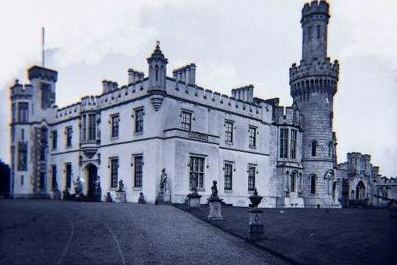 The present castle was completed in 1826 by the 4th O'Brien Baronet in Gothic style, with four large towers made of a dark blue limestone that was cut from a nearby quarry, and built at great expense for the times. The Castle is dominated by a tall, round corner tower and a square tower, both of heavily crenellated. There are also smaller towers and a turreted porch. The windows on the main fronts are rectangular with Gothic tracery. Inside, a square entrance hall opens into a long, inner hall similar to a gallery, the staircase being at one end; while the main reception rooms are at one side of it. The rooms have quite austere ceilings with Gothic Tudor-Revival cornices. The drawing-room was formerly called the Keightley Room since it contained many of the 17th century portraits which were acquired by the O'Brien family through the marriage of Lucius O'Brien MP to Catherine Keightley (whose grandfather was the Earl of Clarendon). Part of the 18th century garden layout survives, including a gazebo and Doric rotunda. During the latter portion of the 19th century, the Inchiquin family wealth dwindled due to a series of Land Acts, until Ireland seceded from the United Kingdom in 1921. Landlords during this time were forced to sell their farmlands, and so the Inchiquins lost their main source of income. However, they were able to still hold onto Dromoland. Although the loss of income suffered by the Inchiquins made the Castle difficult to keep, they managed to do so, and the castle was maintained by the personal wealth of the 15th Baron's wife, and afterwards her son, the 16th Baron, until 1948, when they began to take in tourists as paying guests. 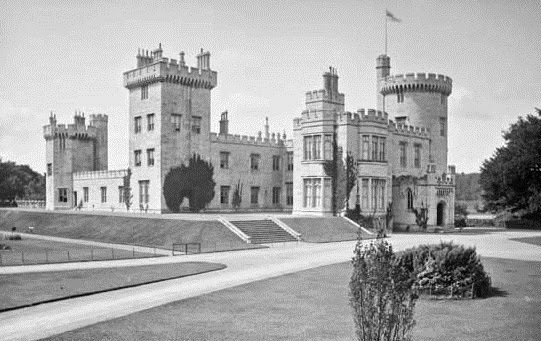 Finally, in 1962, the Castle was sold to an American industrialist, Bernard McDonough, whose family were of Irish descent. Over a period of six months, the castle underwent major renovations and was eventually re-opened as a luxury hotel. The original style and atmosphere of the castle are said to have been preserved, and the rooms including its stately, baronial country house atmosphere “look very much today, like they did when the Inchiquin family lived there... ". The original wing is very elegant inside: Guests enter into a two-storey stone lobby (made from the dark blue limestone) that is complete with suits of armour, a large dark wood carved table, elegant rose tapestry covered chairs, and dark red drapes. On one side, a stone passage and hallway lead to the large, main drawing room of the castle. The hallway and drawing-room have a high ceiling,deep red and gold wallpapered walls, and is lined with baronial portraits of the barons and former members of the Inchiquin family. It is said that O'Brien family portraits (on loan) remain on display at the Castle today. First published in April, 2011. 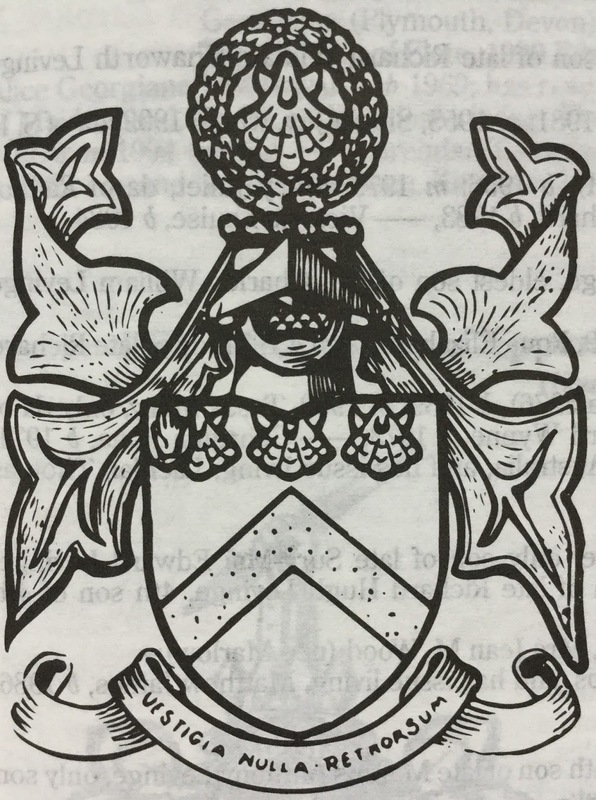 Thomond arms courtesy of European Heraldry. This is an 18th century lime kiln, but castellated to look like a medieval structure. Lady Mairi had a wooden shed placed on top and used to do her homework there as a youngster. You often find lime kilns by water because the limestone was heavy. There were often derricks on top of the structure to lift off the stone and deposit it down into the kiln. The process is like charcoal burning, controlling the amount of oxygen drawn into the kiln and depending on the fineness of the grade of lime required may take many days say for plasterers lime or a lesser time for agricultural lime. The lime kiln probably dates from around 1784 and was a designed feature of the demesne. The whole Sea Plantation was reclaimed from Strangford Lough, its sea wall and peripheral walk would provide views of the Lough. The canal which held all the drainage water when the tide was in and released it into the lough by means of a non-return valve a pier for mooring yachts and rowing boats and a boat-house; then you would return by the Clay gate lodge and thence on to the Temple of the Winds. Beyond that there is a faux chapel as well as real archaeological remains ~ the Gothic cow byre; the cromlech; the ruined abbey; and a Motte-and-Bailey from Norman times. The idea was to provide curiosities, all of them Gothic in design. They were laid out by William King, of Dublin, Ireland’s answer to Humphrey Repton. It is one of his very early commissions and is significant in that the estate is intact and unspoilt. I saw one of your readers has inquired about the building near the Mount Stewart swimming pool: I can supply some information about the one with the "Gothick" windows and traceries. Whilst I do not know why it was originally built - in, I suppose, the early 19th century - I do know it was adapted in the 1930s with a staircase; the pouring of a concrete floor foundation on the roof; and the construction of four stone columns to support a wooden summer house; completing this substantial superstructure on the old building for the benefit of my late grandmother [Lady Mairi Bury] when she was in her "teens". My grandmother used it for her studies on warm summer days and to entertain her friends of her own age nearby to the swimming pool, as somewhere separate from the adult gatherings at the swimming pool itself in the 1930s. My grandmother's siblings were all much older, so her parents gave her the summer house so she had somewhere fun to entertain the numerous friends of her own age who were invited over. It is obviously sad that this elevated summer house, and the older building which is underneath, is now largely obliterated - like every other building in and around the swimming pool of Mount Stewart, where so much fun was had by so many for around 50 years. I believe some mindless moron decided to smash the Gothick window surrounds of the old building with a sledgehammer. First published in May, 2012. Revised in 2014. Elizabeth Emily, m to John Farrell. FREDERICK PHILIP BENNETT JP DL (1830-1905), High Sheriff, 1895, who died at Monaco. Mr Bennett left his estate to Mr Valentine Ryan, on condition that he adopt the name of BENNETT. THOMASTOWN PARK HOUSE, Frankford, near Birr, County Offaly, was built in the mid-18th century. There is said to be an old castle within the demesne. The house, built during the mid-18th century for the Leggat family, and in the ownership of the Bennett family during the 19th century, was once a large and important demesne within County Offaly. The house even had a private chapel. Though the country house itself is no longer extant, the associated structures of the demesne remain. Notable elements include the large walls which surround what once was a deer park; the finely tooled limestone entrance gates; the walled garden; and the outbuilding with ashlar bellcote. The walled garden, outbuilding, deer park and former entrance gates and lodge to former Thomastown Park House, built ca 1750. Main entrance gates (above) with square-profile, ashlar limestone gate piers with frieze and capping stones with wrought-iron gates flanked by pedestrian entrances with tooled limestone surrounds flanked by quadrant walls; large, walled deer park to north of former demesne with random coursed stone walls. Walled garden to west of former house site with random coursed stone walls and red brick internal wall to north. Outbuilding to farmyard complex with rough-cast rendered walls, corrugated roof and ashlar limestone bell-cote to south-east elevation. Segmental and square-headed carriage arch openings with corrugated doors. The estate was sold by Group Captain Richard Stephen Ryan CBE RAF in 1951. CHARLES HOWE CUFF KNOX JP DL (1840-1921), of Creagh, High Sheriff, 1873, Honorary Colonel, Connaught Rangers, who married, in 1869, Henrietta Elizabeth, daughter of the Rt Hon Sir William Gibson Craig Bt. There is a stained-glass window "In memory of Charles Howe Cuff Knox who died 27th Dec. 1921 aged 81 years" in the Church of Ireland (now the Library) in County Mayo. HENRY HOWE KNOX (1871-1954), of Creagh House, wedded, in 1906, Ada, only child of Sidney Bryan, of Kenilworth, Port Elizabeth, and had issue, a daughter. CREAGH HOUSE, near Ballinrobe, County Mayo, was built in 1875 for Captain Charles Howe Cuff Knox, to the design of S U Roberts. Sadly diminished drastically in size in the 1930s by fire (it appears to have been halved), there still remains today a sizeable period house of around 6,000 square feet. It is located in beautiful and secluded surroundings, habitable, and indeed inhabited, but needing further restoration. 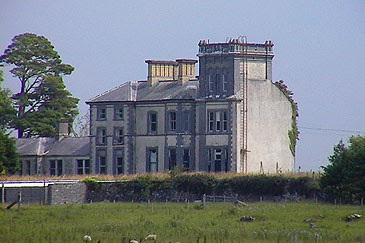 The property today occupies grounds of just under two acres, looking toward Lough Mask. The grounds are partially wooded with lawned areas around the house. The front of the house has magnificent views over the Tourmakeady mountains and from some aspects, to the lake. The pedigree of this family with alliances is fully set out in NISBET'S Heraldry, with authorities down to 1800. JOHN CUNINGHAME, Laird of Drumquhassle, Master of the Household to JAMES VI, called the "Regent's Right Hand", as being the chief adviser of the Earl of Lennox. GENERAL ROBERT CUNINGHAME (1726-1801), of Mount Kennedy, was elevated to the peerage, in 1796, in the dignity of BARON ROSSMORE, of Monaghan; and as he had no issue by his wife Elizabeth, daughter of John Murray, and co-heir of her mother, Mary, Dowager Lady Blayney, daughter and heir of Sir Alexander Cairnes Bt, the patent of creation contained a reversionary clause limiting the barony, at his lordship's decease, without male issue, to his wife's family: Firstly, to Henry A N Jones; secondly, to Warner William Westenra; and thirdly, to Henry Westenra. Mr Jones and the Messrs Westenra were grandsons of the aforesaid Mary, Dowager Lady Blayney. Anne; Matilda; Eliza; Henrietta; Jane; Georgiana Frances. Elizabeth Jane; Adolphina Frederica; Jane; Mary Julia. Nina Augusta Erina; Eva Adelaide. Lucy Phillippa; Augusta; Beatrice Elizabeth. He espoused secondly, in 1904, Constance Evelyn, youngest daughter of Edwin Joseph Vipan. Jean Rosemary; Ruth Isabella Anne. MOUNT KENNEDY HOUSE, Newtownmountkennedy, County Wicklow, is a two-storey over basement mansion, to a design originally drawn up by James Wyatt in 1772. The estate originally belonged to the Kennedys, who erected a large house here in 1670; burnt during the Williamite War. The estate was purchased in 1769 by Lieutenant-General Robert Cuninghame, later Commander-in-Chief Ireland and 1st Baron Rossmore. It was modified by the architect and builder, Thomas Cooley, who completed the commission in 1784-85. Lord Rossmore died in 1801, when Mount Kennedy passed to his niece, Mrs Gun-Cuninghame. It remained in the Gun-Cuninghames until 1928. 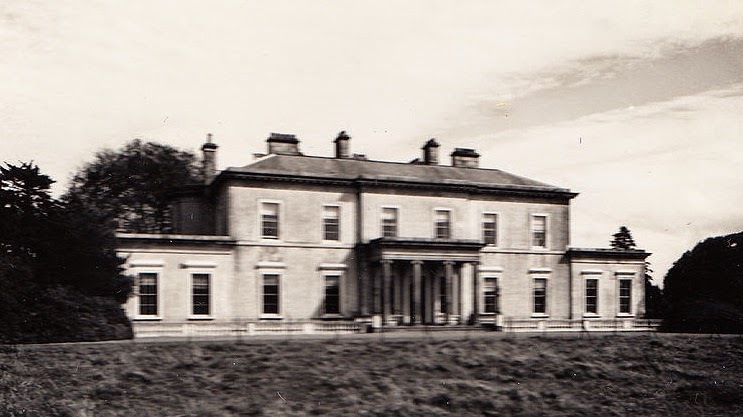 In 1938, the demesne was bought by Mr Ernest Hull, whose widow sold it about 1971. 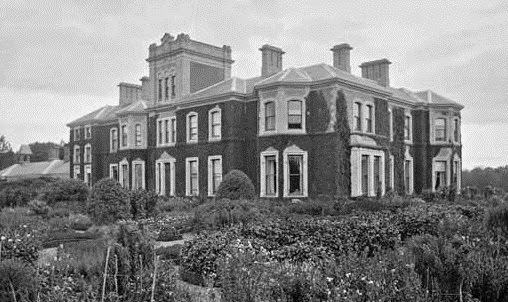 It later became the home of Mr & Mrs Noel Griffin; and the present family acquired it in 1982. Mount Kennedy's principal characteristic is the beautiful and delicate interior decoration, incorporating plasterwork by Michael Stapleton. Exquisite work in the hall (above) and three main reception rooms is further complemented by intricately painted medallions in grisaille by Peter De Gree, a Belgian who came to Ireland in 1785, and whose other works are contained in Lucan House, Luttrellstown Castle and Marlay House. Mount Kennedy has seven bedrooms, four reception rooms and four bathrooms. It is set in 170 acres. The property was sold to a private buyer in 2013. MICHAEL O'LOGHLEN (1789-1842), MP for Dungarvan, 1835-37, a distinguished lawyer, having filled successively the offices of Solicitor and Attorney-General, was elevated to the Bench as a Baron of the Exchequer in 1836, which he relinquished on being appointed Master of the Rolls in Ireland the following year. Mr O'Loghlen was created a baronet in 1838, denominated of Drumconora, Ennis. Frances Mary; Clare Mary; Aimee Margaret Julia. SIR MICHAEL O'LOGHLEN, 4th Baronet (1866-1934), JP, High Sheriff of County Clare, 1910, who espoused, in 1918, Beatrice Mary, daughter of Sir Michael Murphy, 1st Baronet. Sir Michael was the last Lord-Lieutenant of County Clare, 1910-22. 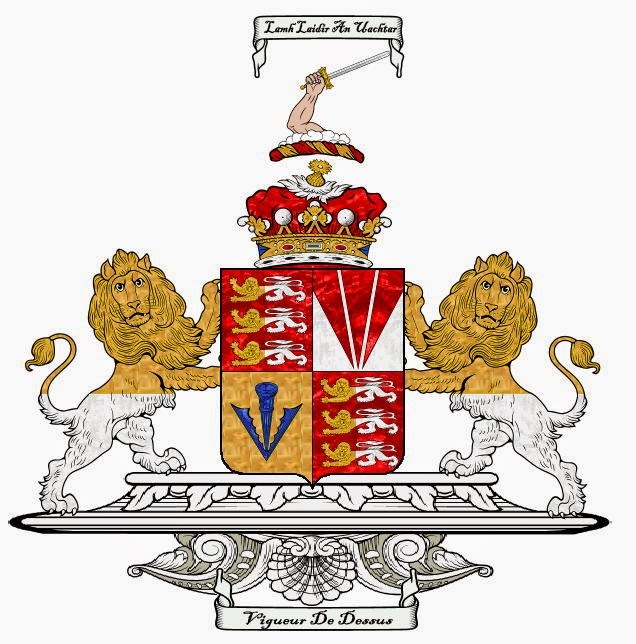 The prospective 7th baronet is Michael O'Loghlen (b 1945), eldest son of the 6th Baronet. His heir apparent is his eldest son, Hugh O'Loghlen (b 1968). The present baronet lives in Australia. 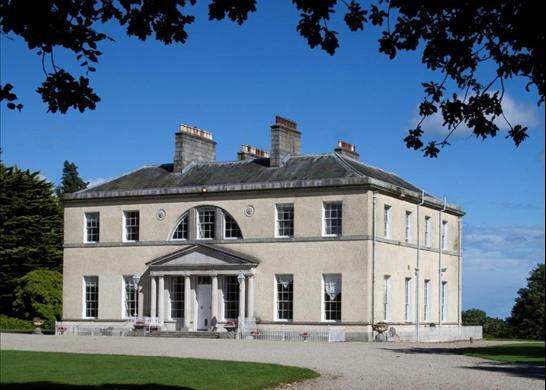 NUTFIELD HOUSE, also known as Drumconora, County Clare, was a large three storey residence which belonged to the Crowe family at the end of the 18th century, and until at least 1814, when it was the residence of Robert Crowe. By the mid-19th century, Nutfield was the home of Sir Colman O'Loghlen Bt, who held it in fee. Unfortunately I presently have no further information about the house or its history. JAMES POWER, Innkeeper, of Thomas Street, Dublin, established a distillery for the production of whiskey at his premises in 1791. 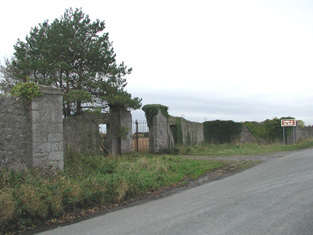 The site selected by Mr Power was in the suburbs of Dublin, just outside the city walls, upon a plot of ground formerly known as the Friary Gardens of St John, adjacent to Wormwood (Ormond) Gate, the principal western entrance to the city, and was the property of the Countess of Charleville, by whom it was leased to James Power, by indenture bearing date 29th September, 1785. James Power continued to extend the distillery until his death in 1817. He was buried in St James's churchyard, Dublin. Mary; Catherine; Margaret; Elizabeth; Emily; Ellen. Mary Jane; Gwendoline Anna Eliza; Francis Mary Ursula. SIR JAMES TALBOT POWER, 5th Baronet, DP DL (1851-1916), High Sheriff of County Dublin, 1896, who married, in 1877, Gertrude Frances, only child of Thomas Hayes, of Grenville House, Cork. SIR THOMAS TALBOT POWER, 6th Baronet (1863-1930), who wedded, in 1884, Margaret, daughter of Thomas S Martin, of Beaufield, Stillorgan, County Dublin. Sir Thomas died without issue, when the title expired. THE last member of the Board of Power's whiskey with a family connection was Sir Thomas Talbot Power Bt. 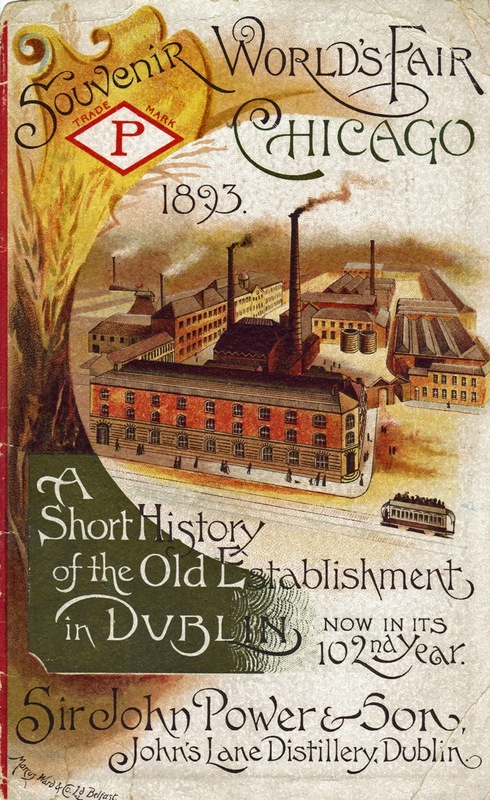 Ownership remained in the family until 1966, when Power's joined with the only other remaining distillers in the Irish Republic, the Cork Distillers Company, and their Dublin rivals, John Jameson & Son, to form the Irish Distillers Group. In 1989, Pernod-Ricard successfully bid for ownership of the Irish Distillers. EDERMINE HOUSE, near Enniscorthy, County Wexford, is a two-storey Italianate house, built about 1839 for the Power family. It has an eaved roof on a bracket cornice and a three-bay front with a pillared porch. There is a five-bay side elevation with a central Venetian window, recessed in a huge blind arch. The interior is Grecian, with fluted Doric columns in the hall; paired Ionic columns and pilasters on the staircase landing. A Gothic chapel was later built at one side of the house, to designs by Pugin, a family friend. This chapel was originally free-standing, though was later joined to the house by an extension to the rear which includes a small Italianate campanile. Adjacent to the chapel is a splendid, early Victorian iron conservatory, joined to the chapel by a cast-iron veranda. The first of this name on record is LEVINGE or Lyfing, Archbishop of Canterbury, 1013, who crowned CANUTE in 1017, and died in 1020; next is LEVINGE or Lyfing, Bishop of Worcester and Crediton in 1046, whose nephew possessed, at the time of the Domesday survey, six lordships in Derbyshire and two in Nottinghamshire. SIR WALTER LEVINGE, a soldier of the Cross, and companion in arms of the lion-hearted RICHARD I. THE RT HON SIR RICHARD LEVINGE (1656-1724), Knight, of Parwich, Recorder of, and MP for Chester, who wedded firstly, in 1680, Mary, daughter and co-heir of Sir Gawen Corbyn, Knight, of London, by whom he had three sons and three daughters; and secondly, in 1723, Mary, daughter of the Hon Robert Johnson, one of the Barons of the Exchequer in Ireland, and by her had one son, Richard, of Calverstown, County Kildare. 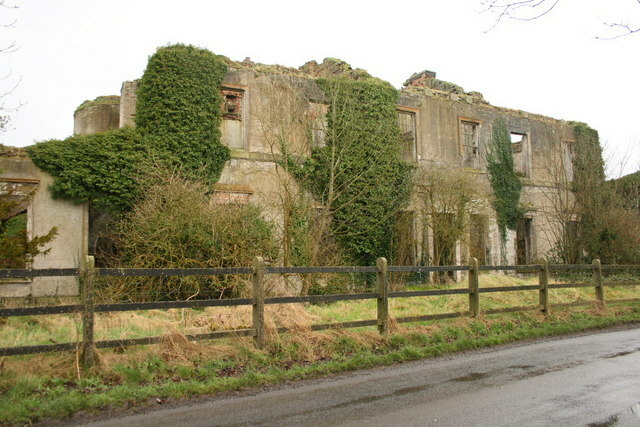 Sir Richard was created a baronet in 1704, designated of High Park, County Westmeath. Elizabeth Anne; Georgiana Frances Caroline. SIR RICHARD GEORGE AUGUSTUS LEVINGE, 7th Baronet (1811-84), of Knockdrin Castle. Sir Richard George Robin Levinge, 12th Baronet (b 1946). 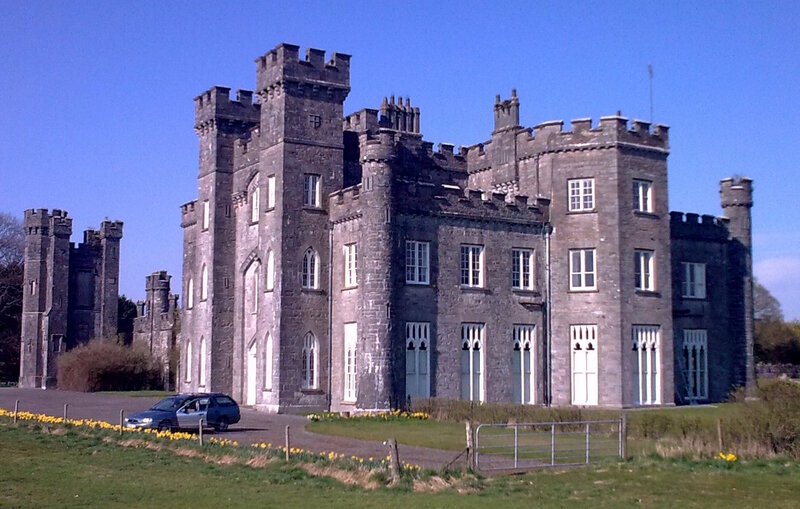 KNOCKDRIN CASTLE, near Mullingar, County Westmeath, is an impressive Gothic-Revival mansion of about 1830 by James Shiel. The main block comprises two square turrets, joined to a gate-tower by a lower range. There is an arcaded Gothic central hall; oak carvings; and an Elizabethan-style staircase. 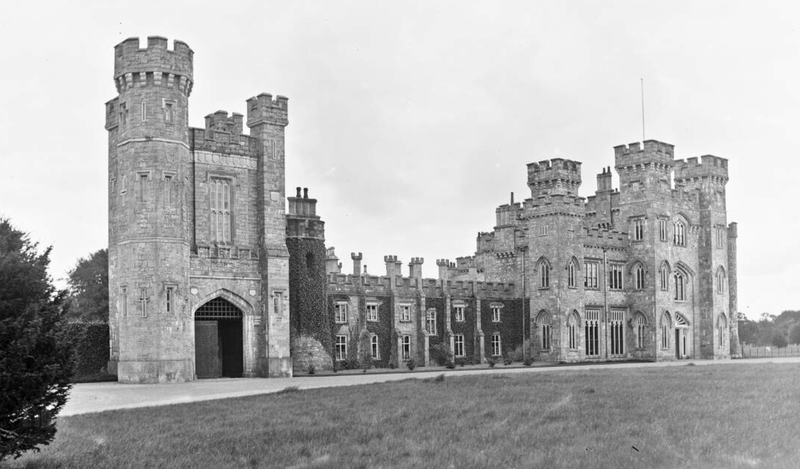 During the 2nd World War the castle was requisitioned for troop accommodation and was occupied by a company of the 6th (Dublin) Infantry of the Irish Army. The army left in 1945 and handed the castle back to the Levinges. 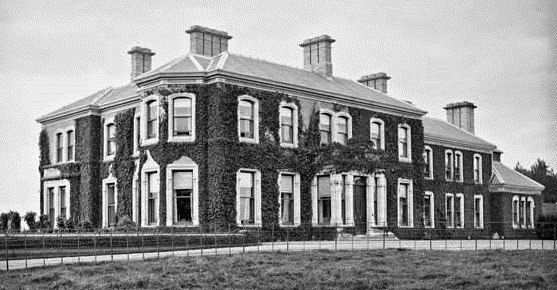 The Levinge family owned Knockdrin until 1946, although the 11th Baronet (later a Director of Guinness Ltd) had not been resident there for some time. In that year the estate was sold to Paddy Dunne-Cullinan, who remained at Knockdrin until 1961, when he in turn sold the estate to Hans and Irene Freiherr von Prondzynski from Germany. The arable land is now leased out, but the family continues to live in the castle. Other former seat ~ Parwich Hall, Derbyshire. This is a branch of SMYTH of Gaybrook, springing more immediately from SMYTH of Drumcree. THOMAS HUTCHINSON SMYTH (only son of Thomas Smyth, of Drumcree, by his third wife, Martha, daughter of the Ven Francis Hutchinson, Archdeacon of Down and Connor), served as High Sheriff, 1792, being then described as of "Smythboro" or Coole. Elizabeth Abigail Mary Amelia; Mary Anne; Louisa Anna. Ellinor Marion Hawkesworth; Maud Emily Abigail Hawkesworth. BALLYNEGALL HOUSE, near Mullingar, County Westmeath, is said to have been one of the greatest architectural losses in the county. 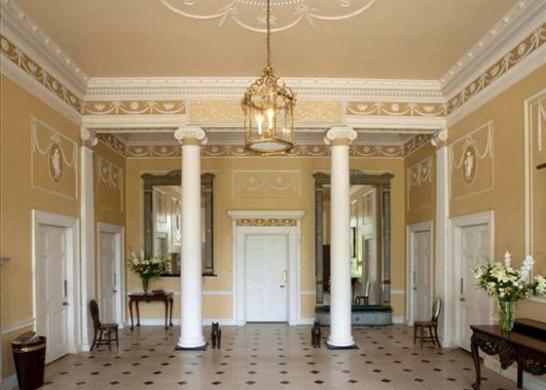 The designs for this elegant and refined Regency house have been traditionally attributed to Francis Johnston, one of the foremost architects of his day and a man with an international reputation. The quality of the original design is still apparent, despite its derelict and overgrown appearance. The house was originally constructed for James Gibbons at the enormous cost of £30,000, and was reputedly built using the fabric of an existing castle on site, known as Castle Reynell after the previous owners of the estate. Ballynagall remained in the Gibbons Family until 1846, when ownership passed on to Mr James W M Berry. In 1855, ownership later passed on to the Smyth family through marriage. There is an interesting article here, written by one of the last of the Smyths to live at Ballynegall. The house was abandoned in the early 1960s and all remaining internal fittings and fixtures were removed at this time. The original Ionic portico was also removed in the 1960s and now stands at Straffan House, County Kildare. The remains of a very fine iron conservatory, which has been attributed to Richard Turner (1798-1881), is itself a great loss to the heritage of the county. Ballynagall House stands in picturesque, mature parkland. The remains of the house form the centrepiece of one of the best collections of demesne-related structures in County Westmeath, along with the stable block to the north-west and the gate lodge and St Mary's church to the south-east.